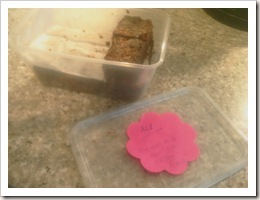 Sam came down last week and dropped off a batch of her infamous brownies as a thank you for maintaining her web site. 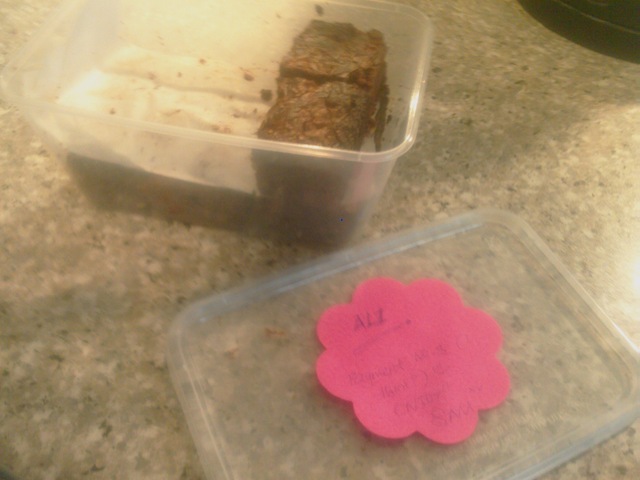 A swear these are the best tasting brownies I have ever had. The batch only lasted around 7 hours with my housemates around. Further verification of their tastiness – the last time Sam made me some, I was in London cutting the 5:13 trailer. Whilst we were editing, a squirrel came through the window and took one straight from the cooling tray. Lucky thing.